Bayern Munich's German Cup match against Drochtersen/Assel was delayed due to beach balls being thrown on the pitch. 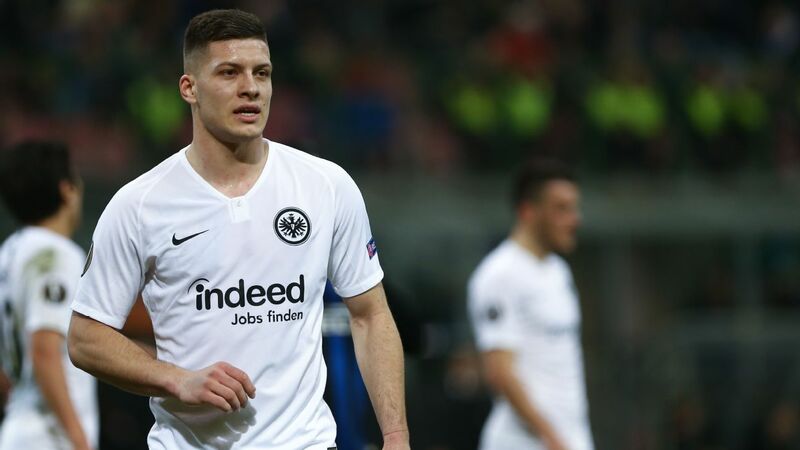 DFB Pokal holders Eintracht Frankfurt crashed out of the German cup in the first round on Saturday with a 2-1 defeat away to amateurs Ulm. Frankfurt, who surprised Bayern Munich in the cup final last season, became the first holders to exit the competition at the first hurdle since Kaiserslautern lost in 1996. Steffen Kienle and Vitalij Lux scored for fourth-tier Ulm, who spent one season in the top flight in 1999-2000, and the minnows held on after Goncalo Paciencia got a goal back for Frankfurt. They weren't the only Bundesliga club to crash out on Saturday, though, as Stuttgart capitulated in a 2-0 defeat at third-tier Hansa Rostock. Bayern escaped a scare of their own against a four-division club, as the German champions were frustrated by Drochtersen/Assel until Robert Lewandowski scored in the 82nd minute. "I'm happy we're still in the cup," said new Bayern coach Niko Kovac, who coached Frankfurt to their triumph mere months ago. Drochtersen were only playing in the competition for the second time in their 41-year existence after winning the Lower Saxony Cup, and the club more than doubled its stadium capacity from 3,000 to 7,500 with temporary seats just for the visit of the record 18-time cup winners. "I find it incredible that we were able to keep the game open for so long," Drochtersen coach Lars Uder said. "That's why I'm so proud of my team." Bayer Leverkusen, Hoffenheim, Werder Bremen, Wolfsburg, Mainz and Nurnberg all progressed with wins over lower-league opposition.